Heavenly Knot In The Hills - Wedding Affair var admin_url = "https://weddingaffair.co.in/wp-admin/"
Early morning with the sun’s golden beams perforating the bed of clouds. The mohawk bulbul perching between the trees and your room’s balcony fence. The air is as purified as your soul and, you know your heart has found the right address for getting married. Away from the urban-scampering, hills have always given us reasons to come back. 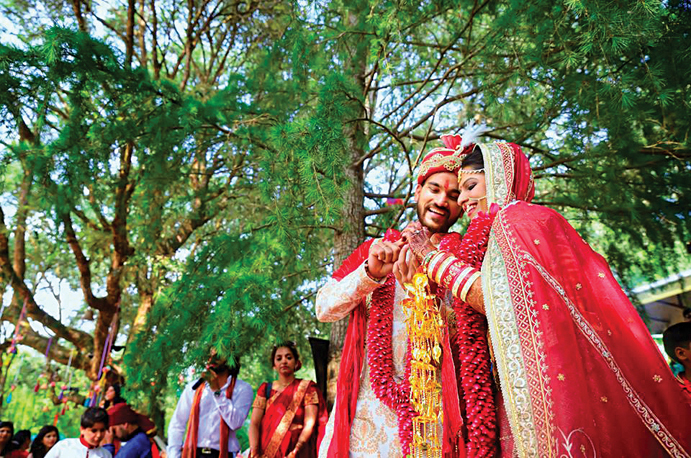 This time, only to exchange promises for the most significant epoch of life – beginning the life of togetherness.